Medical records make or break cases with medical issues. You’d be hard-pressed to find a medical case that doesn’t rely on medical records. Understanding the information in medical records and how it impacts your cases is a necessary skill for an attorney. Skillfully organizing medical records gets easier with experience. Legal Nurse Consultants have a sizeable edge over paralegals and attorneys in their ability to organize medical records: They understand how the healthcare system functions and they can more easily interpret documentation, regardless which facility provides the records. 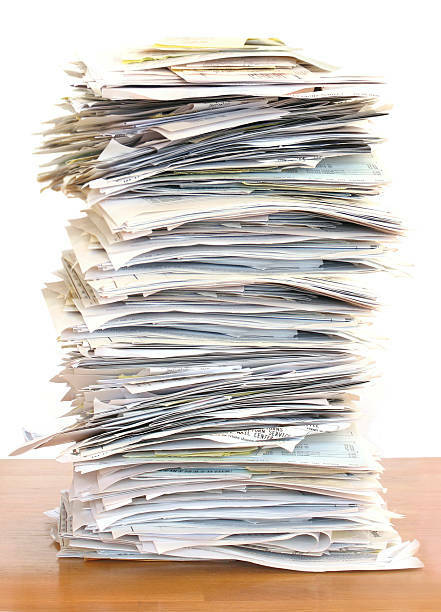 This blog post focuses on effective organization of paper medical records. In future posts, I will also address organization of both electronic and scanned copies of medical records, as well as how physician offices and clinics typically organize records. After photocopying the first copy of a medical record received from a provider, many attorneys file this received copy away for safe keeping. Never write or highlight on the first copy of the file. Keeping a clean first copy will ensure high-quality images going forward. Once you’ve archived your originals, there are several things to keep in mind as you organize. Medical records might come off the copier in reverse chronological order. For example, the last physician order written might be the first page of the record. Medical professionals prefer to start at the beginning of the story and read through to the end, therefore it’s best to put the pages in the correct chronological order. Sometimes you can lose information if you punch holes in paper documents as you put them into binders. This usually occurs when the records are full size. It can be useful to request that the provider duplicate the records for you at a 95% scale, shrinking the page just enough so you won’t lose information on the margins of the page. Keep a stack of hole-punched colored paper handy when you organize medical records, and use them to divide major sections of the chart into subsections. For example, you may separate the critical care flow sheets into 24-hour periods, or you may separate the nursing section into admission assessment, plan of care, flow sheets, patient education records, narrative notes, and so on. Colored sheets are also useful for separating operating room records when the patient has more than one surgery. Similarly, separate the therapy section into occupational therapy and physical therapy. You can further differentiate the records by having different color coding for different years. This helps you to quickly find the year you’re looking for. Look for pages that don’t look correct as you organize medical records. As you work your way through the chart, you will be able to spot changes in patterns and more readily identify errors. Occasionally you may see sticky notes that were inadvertently photocopied on medical records. In some cases it may be necessary to request a new copy of these records. Regardless, make every effort to copy and distribute records that are free of any such notes. Photocopied photographs can be extremely difficult to decipher. Color photocopies of any photographs are more helpful. All of these tips will help you create an organized medical record that’s complete, ordered and easy to navigate.